LinkedIn for Job Seekers, almost all videos are up! As I mentioned, this is part of the premium bundle that includes the entire JibberJobber Video Library. It’s a great deal, at only $60 for a year of JibberJobber premium and the video library! 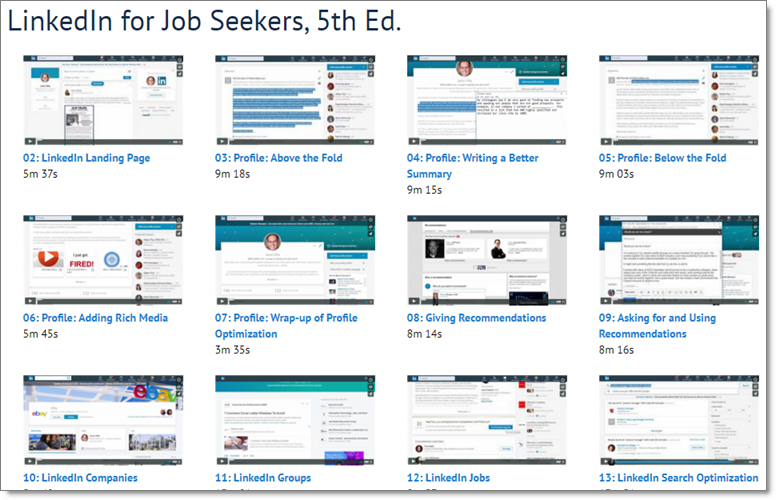 Comments Off on LinkedIn for Job Seekers, almost all videos are up!